Looking for planning quotes to add to your bullet journal or just be inspired? 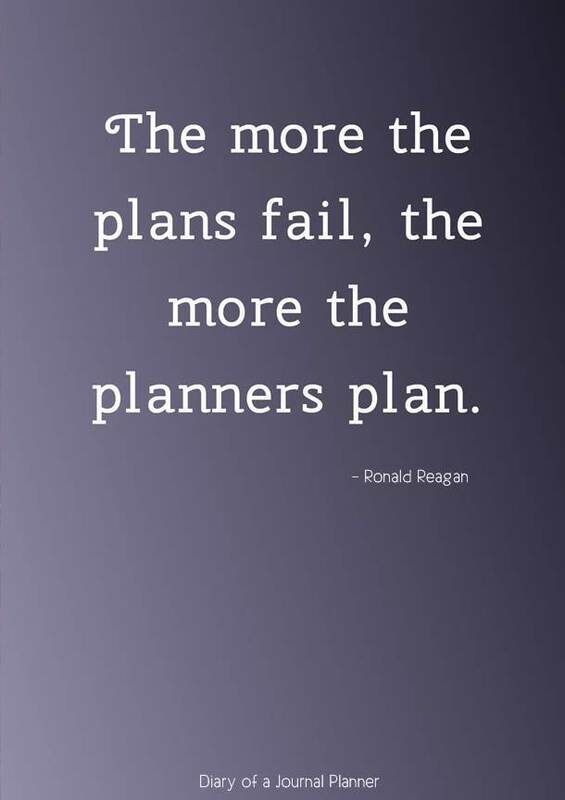 Check out my favorite famous quotes about planning. Motivational quotes and inspirational sayings have their way to make us change how we think and feel. Well, that is because the way we think about ourselves and life and what we think is possible for us to achieve will actually determine the path that will come our way. I have discussed it more in depth in my Vision Board article explaining why the mind is actually the reality and that when you improve the quality of your thoughts you have the ability to change the quality of your life too, sometimes instantly. And words are very powerful, they can touch us, make us smile, laugh or cry. That is why having positive thoughts and gratitude feeling is wonderful for our overall well-being, and it goes much deeper than most people realize. Just know that you do have control over your thoughts even on the hardest circumstances so nurture them with motivation words that will help the stars align and get you to the results you want. 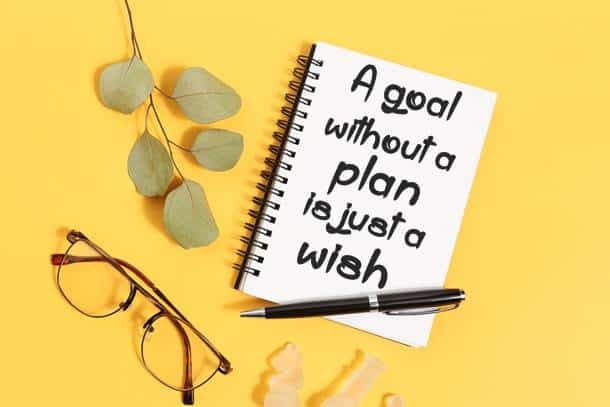 So today I have few positive words and quotes about planning and preparation because after all we are all planners and dedicated to lead a more successful and productive life. It is handy to keep a few of these uplifting planning quotes on your bullet journal or planner. If you are just starting on your bullet journal, getting a bit overwhelmed by it or noticing a shift in your positive thoughts simply check back on your quote pages for a quick boost on your mood. 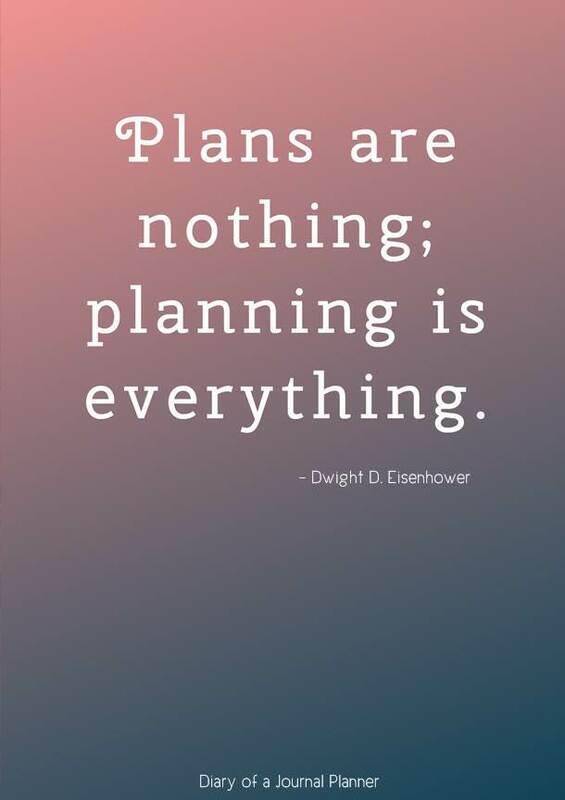 What’s your favorite planning quotes and sayings? 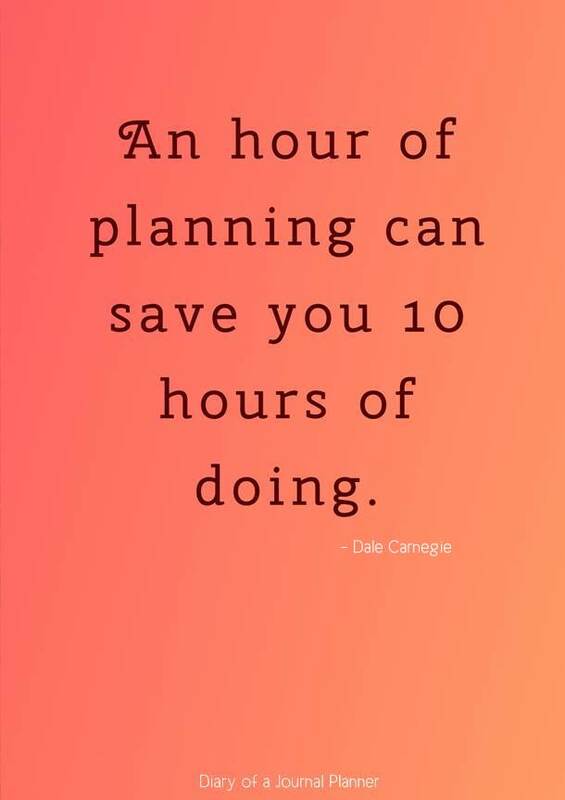 This my favorite quote about planning because of how much truth it speaks. When I take the time to plan my week I am so much more productive. This is one of the most famous planning quotes by Antoine de Saint-Exupéry. 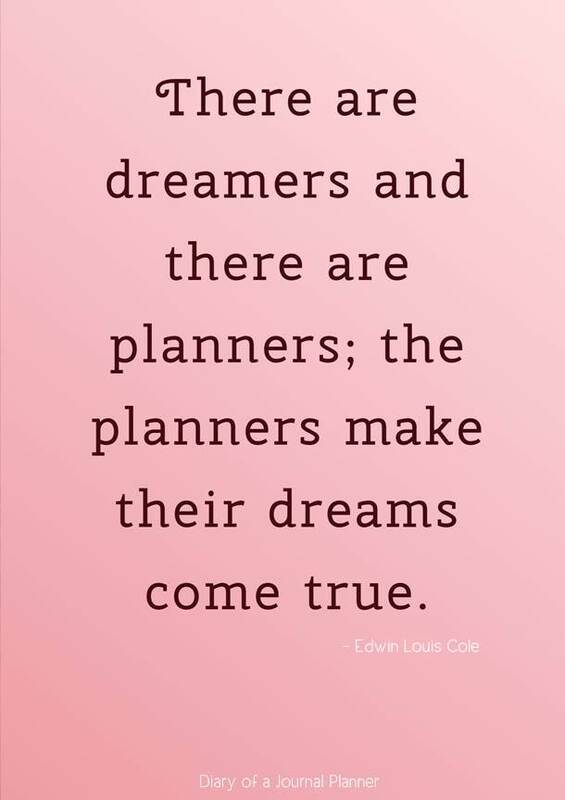 Another famous quote on planning by Edwin Louis Cole. Yeap, that’s right! I have a bullet journal quotes page with this saying. Quote by Ronald Reagan. 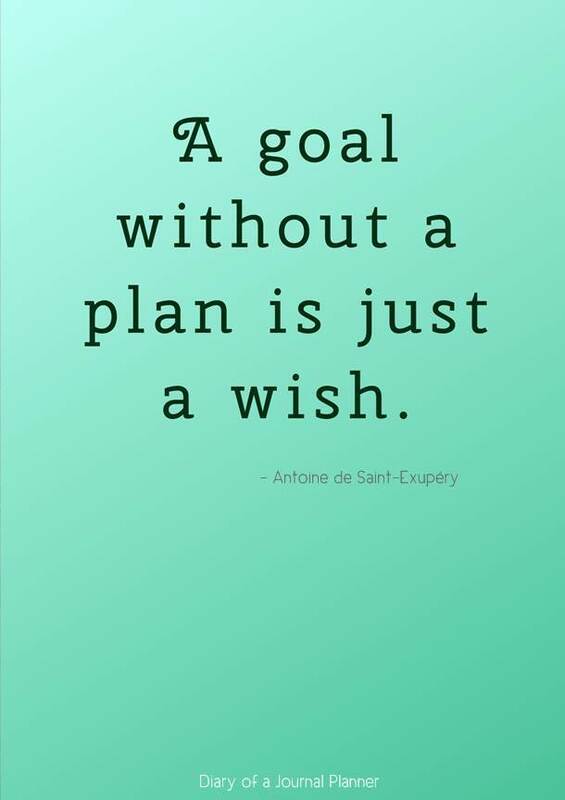 If you are looking for inspiration quotes about planning this one will be a nice addition to your bullet journal pages. 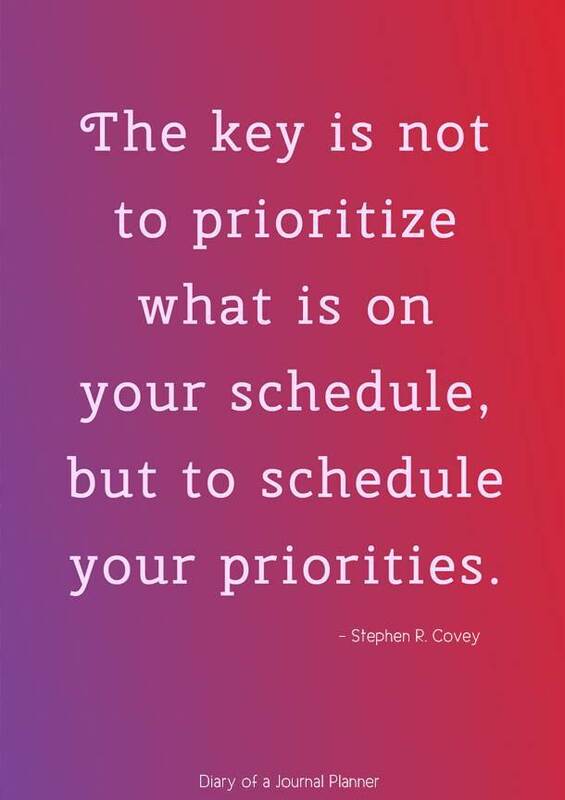 It is all about priorities. Properly planning will be the difference between success or failure. Quote by Dwight D. Eisenhower. 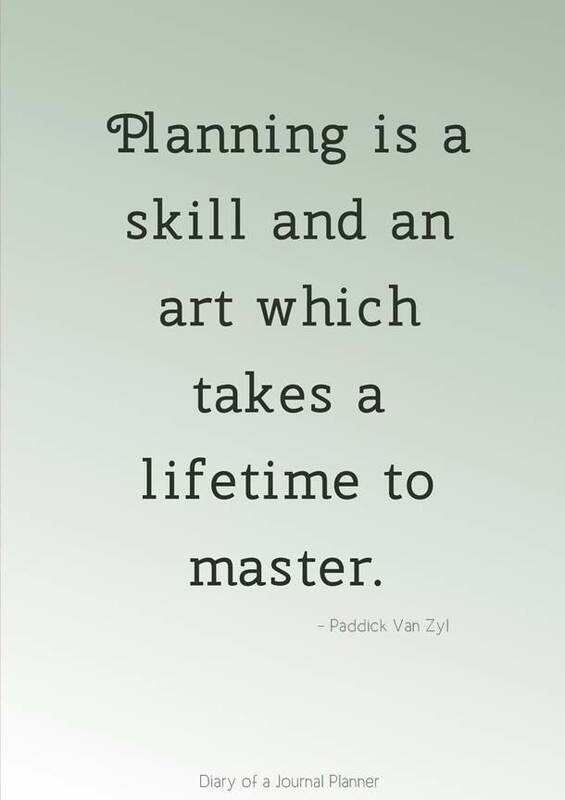 Beautiful motivational quote on planning by Paddick Van Zyl. 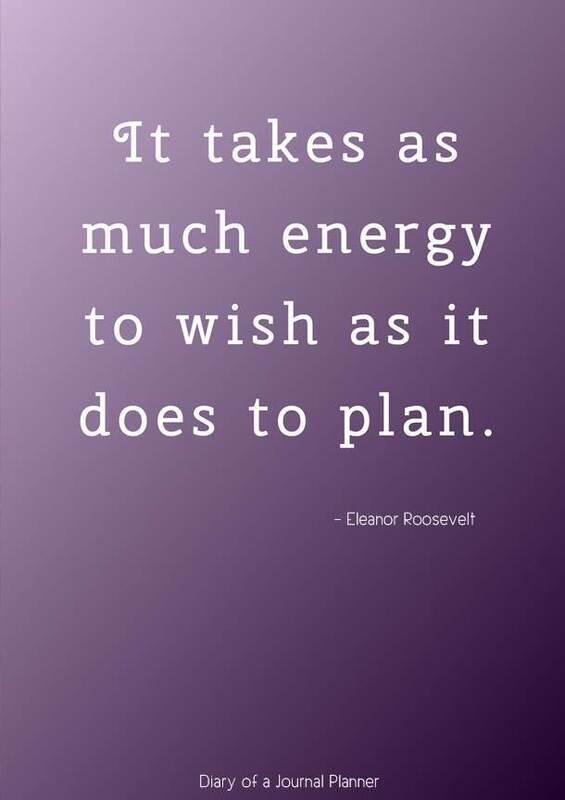 This is such a good planning quote by Eleanor Roosevelt. It takes the same time and energy to wish and to plan, chose wisely what you do. 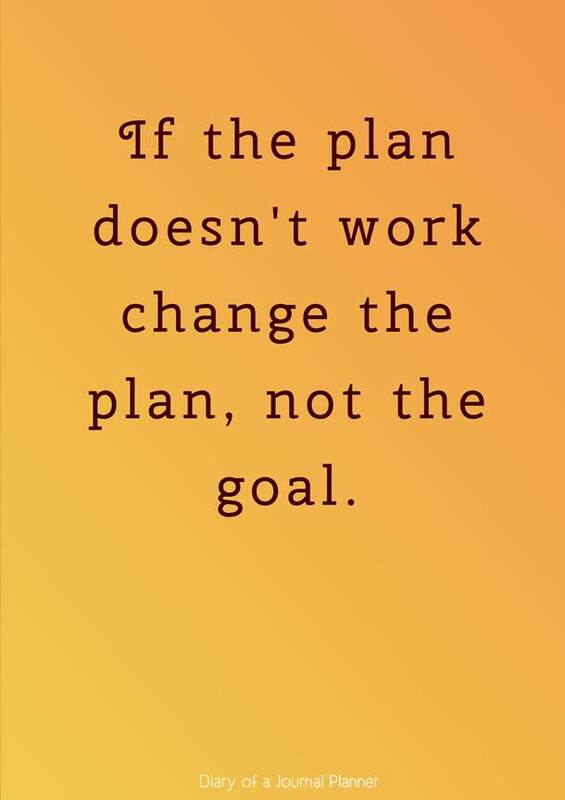 I like how this poor planning quote reminds us that not every plan goes as planned but the goals can be achieved with a new plan. 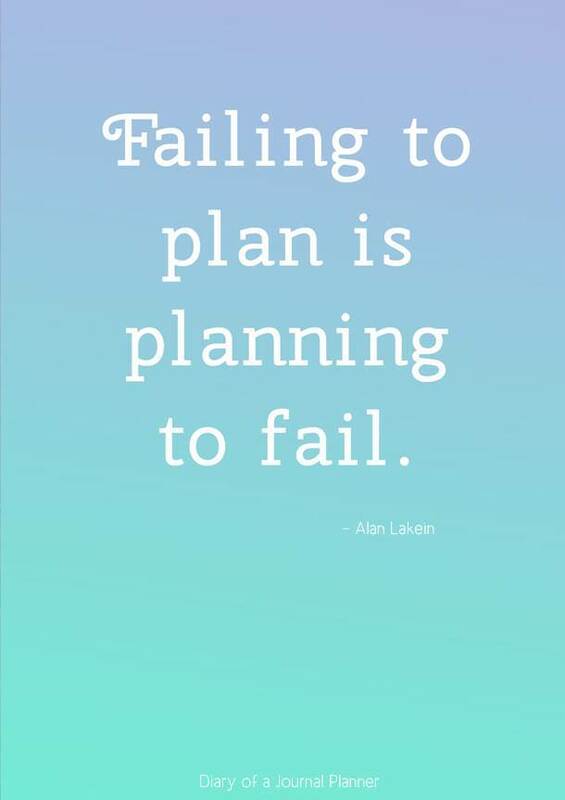 A simple but precise quote about planning for success by Alan Lakein. I love this quote about planning your life in general. 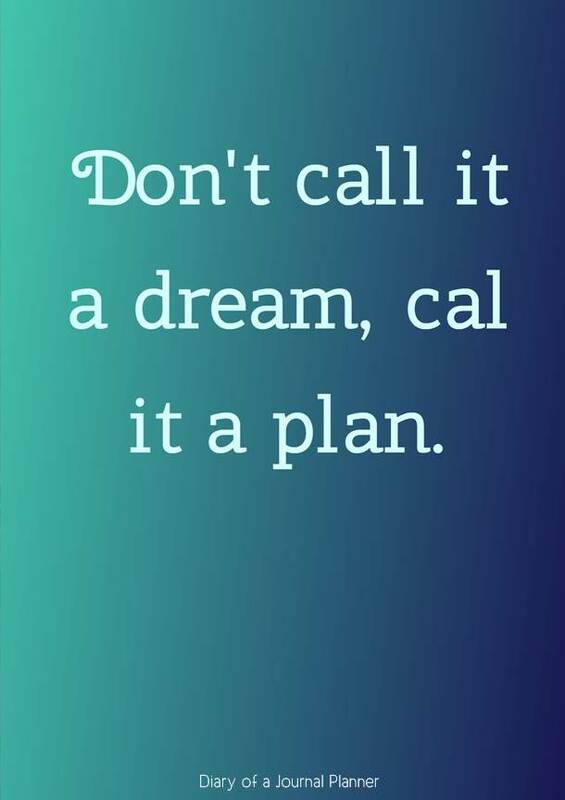 Don’t just dream it, plan it. 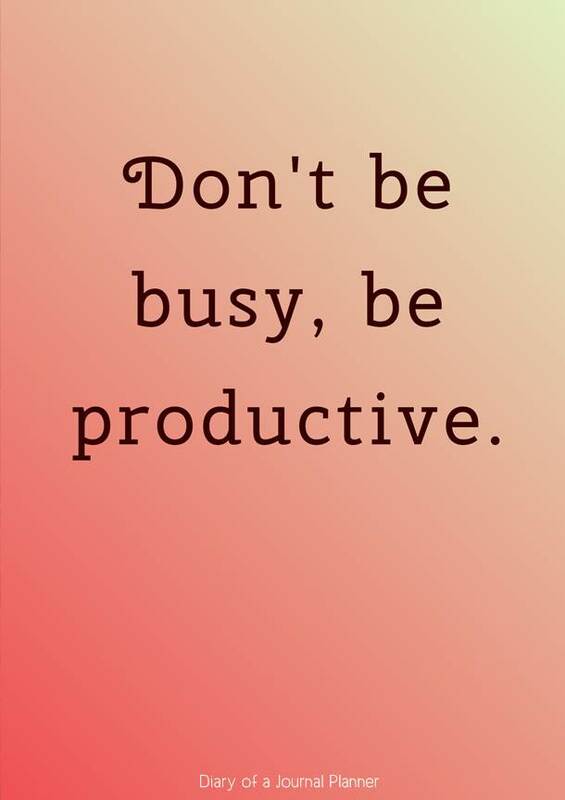 Busy doesn’t equal productivity. Often it is the lack of plan that makes you busy but not productive. I hope you enjoyed this list with famous quotes about planning.